This ebony black soap is one of the oldest cleansers in the world. It is all natural, completely organic without animal fat, no chemicals, tar or artificial coloring. It is made from a rich foray of healing and antiseptic herbs and plant oil with their own glycerin (95%) and natural vitamin A B & E. It is very effective as a facial for its ability to penetrate deep into the pores and suds out oil, dirt and grime of modern day living. Or, use as an all-over body cleanser to help soften your skin and tone your complexion. This product is not intended to diagnose, treat, cure or prevent any disease; the law applicable to dietary supplements, the Dietary Supplement Health and Education Act of 1994, commonly referred to as DSHEA, does not permit us to do so and it is not our intention to do so. The Contraindications and Potential Drug Interactions information provided on this website is not intended to be all-inclusive. Keep your healthcare provider informed about any herbal and other dietary supplement products that you are taking. Light, absorbent grapeseed oil is extracted from the seeds of wine grapes and contains an excellent balance of skin-supporting compounds, including oleic, linoleic, palmitic and stearic fatty acids. Grapeseed oil restores balance and firmness to combination and oily skin. Astragalus is a staple of TCM (Traditional Chinese Medicine), where it has been used for centuries as a superior tonic. Please Note: In support of the habitat of all wildlife, Dead Sea Warehouse is committed to sourcing its Palm Oils for all soap making needs from suppliers who belong to the "Roundtable on Sustainable Palm Oil". AZTEC SECRET INDIAN HEALING CLAY is bentonite clay from Death Valley, California, where it is sun- dried for up to six months in temperatures that sometimes reach 134 degrees. Dermaclaire Natural Fade Cream by Genuine African Formula is a safe and effective natural skin treatment designed to bleach away freckles and age spots in white skin or lighten darker skin. Very effective in fading out acne and pimple marks, including embarrassing stretch marks that result from pregnancy and weight loss. It contains the officially approved ingredient, Hydroquinnone, known to actually fade the appearance of dark spots, freckles, blotches and age spots. 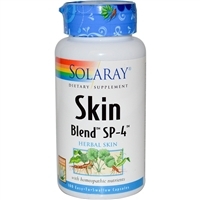 We add a sun screen to help prevent the recurrence of discoloration when exposed to sunlight. It conditions, moisturizes and smoothes the skin. one of the finest herbal cleansers available from two continents. Gator Balm is a grooming and corrective skin care product that has produced startling results for severely rough, dry, itchy, scaly, chaffed skin. Its rich natural ingredients include plant and vegetable oil, natural emollients, minerals and proteins.